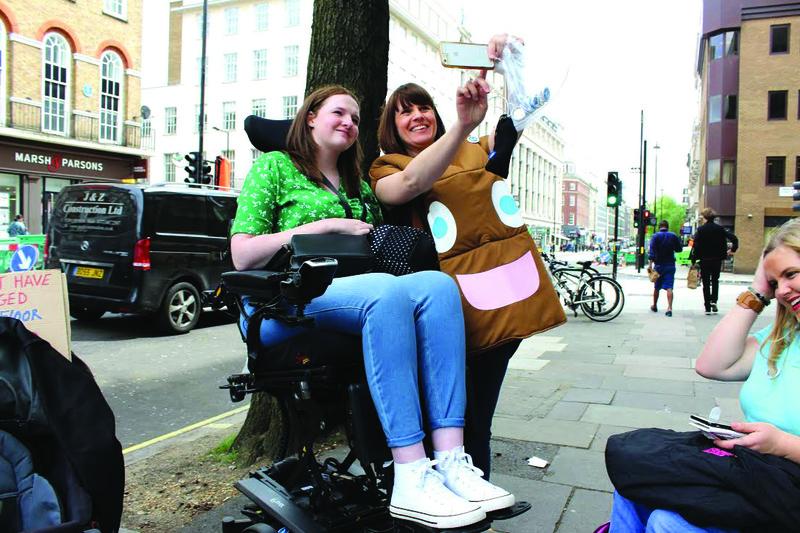 Last issue in PosAbility Magazine Pippa Stacey highlighted the stigmas around powerchairs and questioned why they were always marketed towards an older audience. Surely young people use them too? My name is Pippa Stacey, I’m 23 years old, and I write about life with a rather inconvenient chronic illness over on my blog, Life of Pippa. I’ve used a transit wheelchair for the last three years, and recently made the transition to becoming a powerchair user. 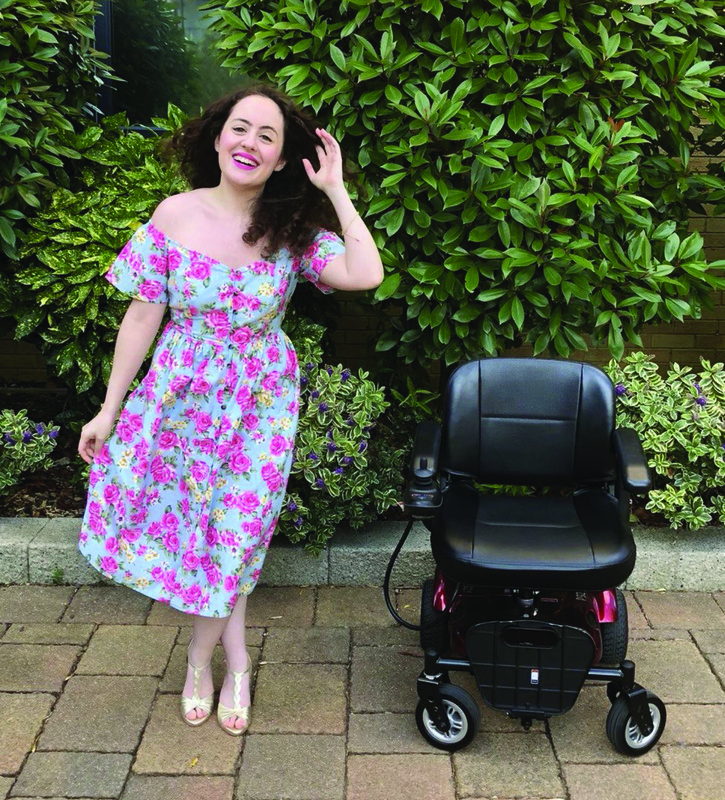 I have to say, I’m loving the powerchair life so far, but today I wanted to talk about one of the biggest barriers that held me back from making this decision for so long: self-confidence. It was 18 months ago that I first started considering the possibility of a powerchair. However, it was whilst doing my initial research that doubt began to set in. Every design, every bit of equipment, every organisation, every little thing I looked at seemed to inherently make the association between powerchairs and elderly people. 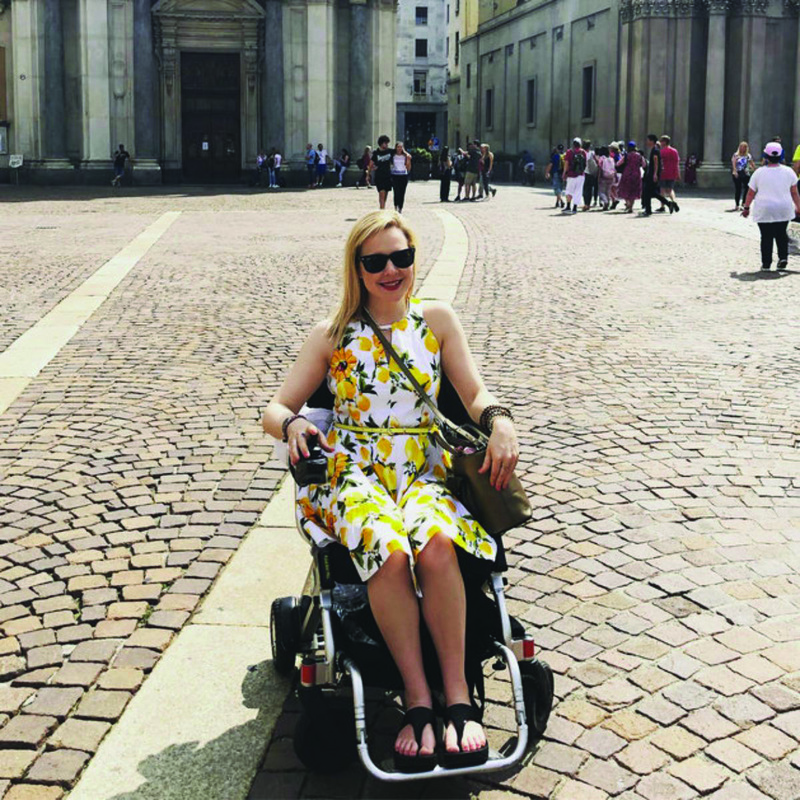 Through brochures and websites, I saw countless older people in these powerchairs, and try as I might, I just couldn’t imagine my young-adult self in their place. You could call it a vanity issue, but I couldn’t help but feel insecure about the fact that I would soon be using something so apparently marketed towards older people, I just didn’t want to be perceived in this way. Even though my need for one was clear, seeing mobility aids presented like this made me all the more reluctant to move forwards. In the end, it was social media that was my saving grace. It’s been so uplifting to see the #disabledandcute and #babewithamobilityaid movement happening online lately, and it was hearing friends’ stories and seeing their photos that finally encouraged me to take the leap. My friends’ posts made me see that I wasn’t on my own, they were displaying their aids with confidence, looking fabulous, and most importantly, enjoying the degree of independence that I’ve been missing so badly. And although I’m still not quite there myself yet, I very much aspire to do the same. It’s certainly not just elderly people who need disability equipment. People can become disabled or chronically ill at any time in their lives, this isn’t breaking news. So where are the young adults in the marketing of mobility aids, and what can we do to encourage change? numerous options available, and how they’ve changed people’s lives. “It took a really long time for me to become comfortable with the idea of using a wheelchair. When I was younger, my physio used to tell me that I was ‘too stubborn to end up’ using one, and I saw any decline in my health as a personal failure. But when I first sat down in my Rascal, I knew it was the chair for me. It has given me a level of freedom I hadn’t anticipated: the fact that I can get within a few seconds of my front door without wanting to cry, is huge. I can go out for a little bit and not have to spend days recovering. “Of course, living in London (which isn’t exactly the most accessible place in the world) still brings many challenges, but I feel so much freer. It feels amazing to fully accept that using a chair isn’t a weakness. It’s an amazing tool that has given me more options and opportunity. And most importantly, hasn’t made me feel like I’m bloody dying whenever I leave my bed”. 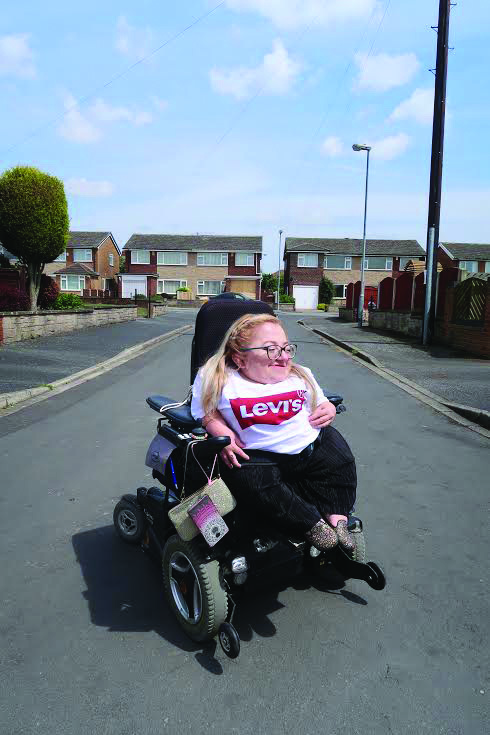 “Since I’ve received my newest powerchair, my life has become unrecognisable compared to just six months ago. I have independence, I can be out of the house all day, I don’t need to worry about finding somewhere to lay down to control my pain, it’s like a whole new world has opened up to me. In just five months I’ve already experienced so much, all things that were impossible last year. I feel like I’ve got my life back and I’m making the decisions now, not my body. 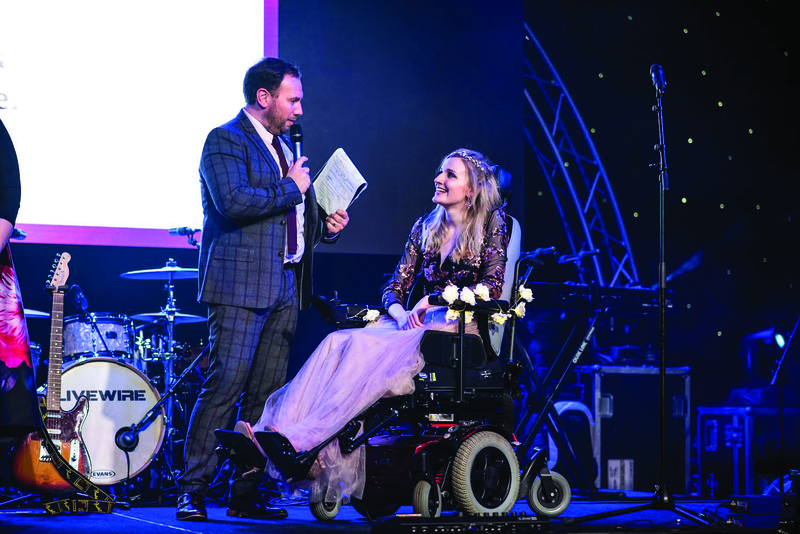 There’s no doubt that it’s a scary step to take, but contrary to some people’s beliefs, my powerchair doesn’t hold me back, it lets me join in with life again”. “I absolutely love my chair, it’s part of me and something I feel super confident in. People are shocked to hear that but it’s true. 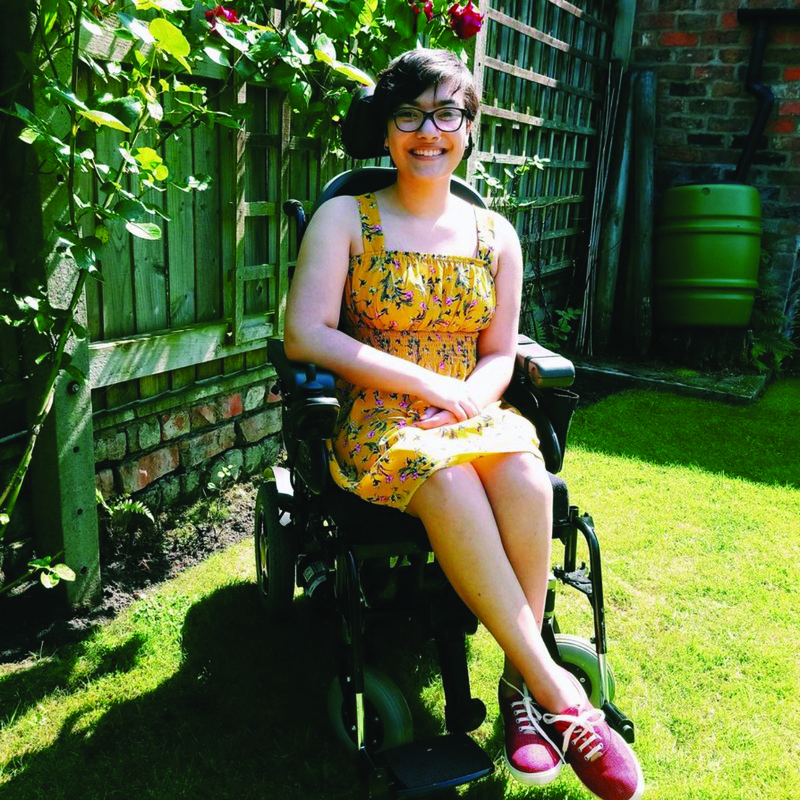 “If there is a fault with my chair and means I have to be out of it even for a couple of hours, not only is my physical independence gone but confidence and mental health is majorly decreased too”. 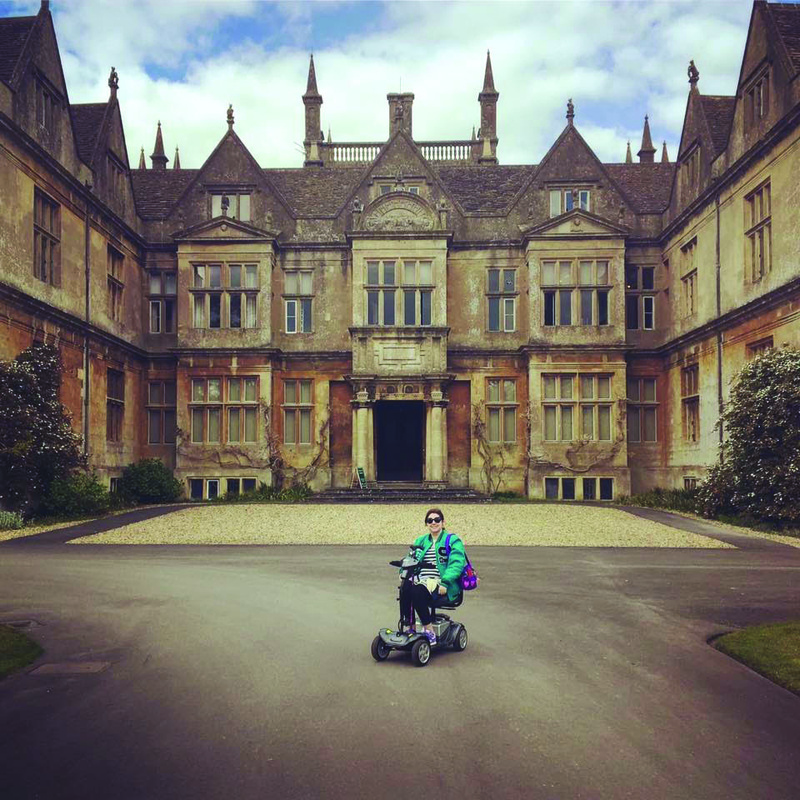 “Having a scooter has made such a positive impact on my life. Before my scooter, I had to be pushed around in a wheelchair which was tiring for my husband and also made it hard for us to have a proper conversation. Now I can zip alongside him, or even scoot off by myself for a bit without having to rely on someone else to push me there. It has been so liberating and I wouldn’t be without it now. “It can be tricky to know which scooter to go for so I asked my chronic friends for recommendations. I bought a reconditioned scooter as it was much cheaper than buying new. I’ve had to have my scooter fixed once since I bought it – my brakes seized up over the winter months when I left it outside for too long without using it, so my advice is to make sure you either use it regularly or store it in a garage or shed during times you might not be able to do so”. 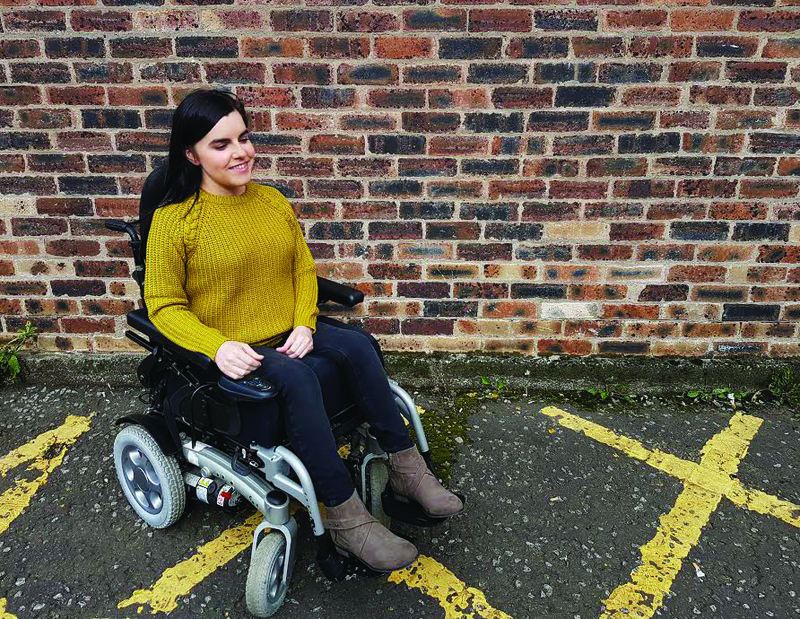 “After years of using a manual wheelchair, I began using a powerchair full-time at 18 years old when I was starting college. 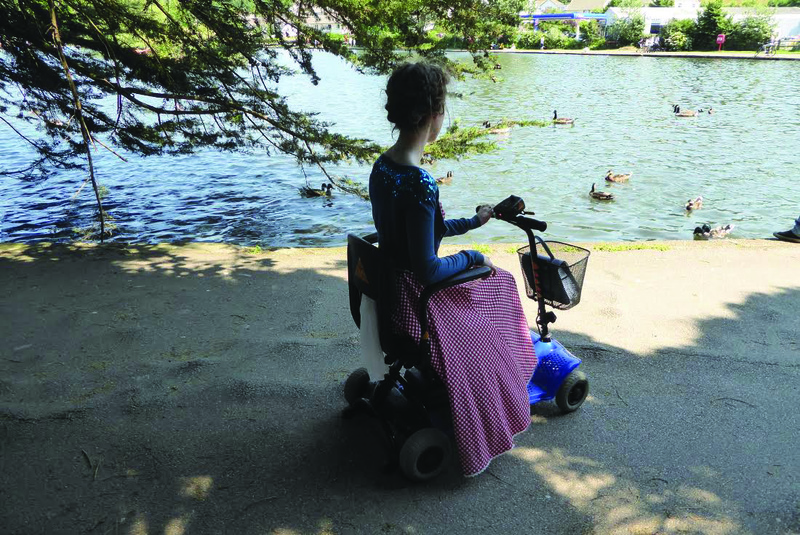 The decision to use a powerchair gave me the freedom and independence that I needed due to my decreasing ability to self-propel and complex seating needs. I’ve had my current powerchair for seven years and I love it. It’s extremely compact and great for travelling”. “Beforehand, I used a manual wheelchair but was too weak to push myself. So, I needed my family and carers to push me around the house. “But, with the electric wheelchair I have so much more independence. And now, I can even think about (part-time) studying my A Levels at college. Simply, it has opened up so many new opportunities. “I’d never considered a mobility scooter. When I thought of scooters, I immediately thought of older people. That all changed when someone offered me a ‘Shoprider’ scooter that she no longer needed. “My wheels gave me my independence back. I took my first trip down the road by myself to the shop in over half a decade and cried the whole way because I felt so free. Now, it’s helped me achieve so many things and manage in situations I wouldn’t have managed due to extreme discomfort in my manual chair. “This chair has been the best thing ever. My freedom. Suddenly I felt like my world had opened up. It feels more independent, I couldn’t have imagined before. “To wheel walk beside my family and friends is immense. To whizz to something in a shop, as simple as that, is a wonderful thing. To not need to rely on someone to push you. This has changed it all, for that I am truly grateful”. So, if there’s anybody out there in a similar position to myself, I really hope this goes some way in helping. Mobility aids are for everybody, and it’s nothing to be self-conscious about. There may not be a great deal of young adult representation in the marketing of powerchairs, but we’re here, and we’re valid. I really hope we see this change in years to come. And in the meantime, you’ll find me whizzing off to the Tesco Free-From aisle like some kind of speed-demon at a nifty 4mph, and living my very best life. Biscuits, anybody?